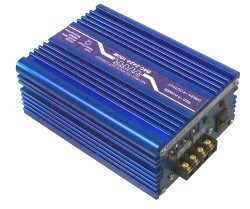 New 24 volt AC modified sine wave inverter rated at 100 watts for use in vehicles, and Solar installations. Suitable for 24VAC irrigation systems, vehicles, boats, floats, even 24VAC doorbells. Inverts 24VDC to 24VAC. 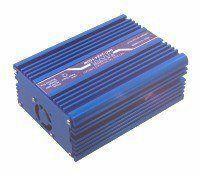 Inexpensive DC/AC power inverter light weight and small size will invert 24VDC to 24VAC. Makes 24 VAC equipment usable in 24 VDC solar installations. 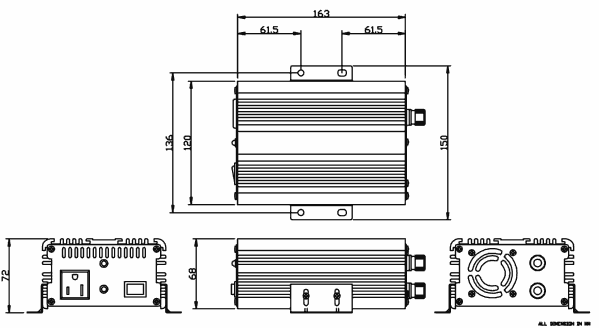 DC to AC inverter can work with solar or battery back-up systems. Useful for solar powered security systems. Also useful for irrigation system controllers.